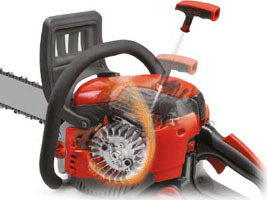 The smallest of the new range of Mitox petrol chainsaws is the 385CSX which features a 14" Oregon guide bar and chain. Featuring an anti vibration system in addition to simple to use durable controls, the 385CSX is designed to be simple and comfortable to use. A primer bulb and choke make starting simple and reliable, and the 14 inch Oregon cutter bar and chain ensures high performance. 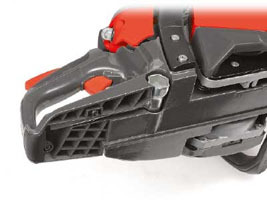 Safety when using a chainsaw is paramount and the 385CSX features a newly designed twin mounted chain brake system and an extra wide rear handle base providing protection for the rear hand. 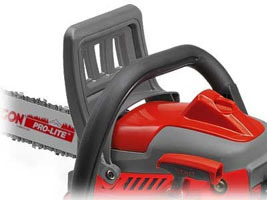 All new Mitox Premium chainsaws provide power output levels you would expect to find on significantly higher priced premium brands. 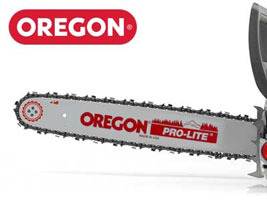 As with all Mitox Premium petrol chainsaws, the CS385CSX comes equipped with a high quality Oregon guide bar and saw chain offer maximum cutting performance and durability. 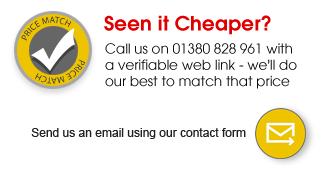 The newly designed quick access cover for the air filter and spark plug can be removed without tools enabling basic maintenance to be completed in a few minutes. To reduce the chance of injury, the safety chain brake stops the chain within 0.15 seconds. 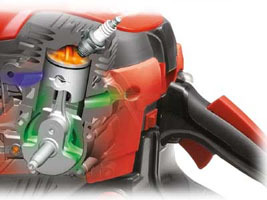 The chain brake can be activated manually, or by inertia in the event of a kick-back. The new chain brake features twin mounting points for improved strengh and durability. The rear mounted fuel tank features an integrated window which enables the user to see the the fuel level clearly. 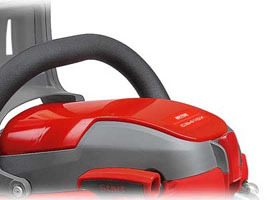 The extra wide base of the rear handle not only provides protection for your hand but also houses an integrated tool for spark plug and chain cover removal. 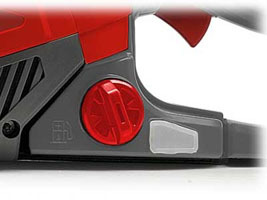 The 385CSX features a Spring Damper recoil assist system which enables the chainsaw to be started easily. 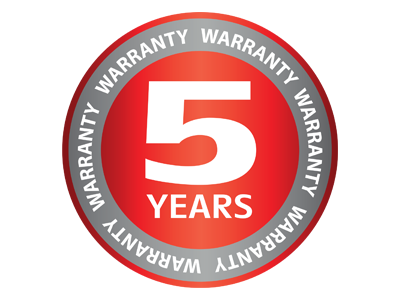 The Mitox Premium chainsaw range features a comprehensive 5 year domestic warranty with a nationwide network of service dealers all with access to next day spare parts support. 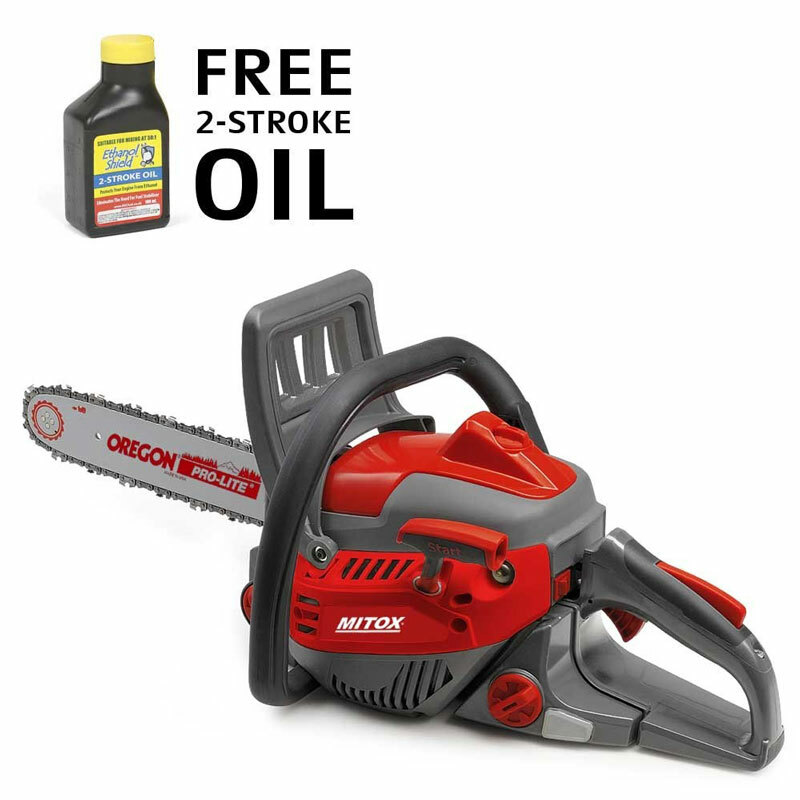 16" Oregon Guide bar41.4cc engineThe Mitox 415CSX petrol chainsaw offers a step up in power from the..